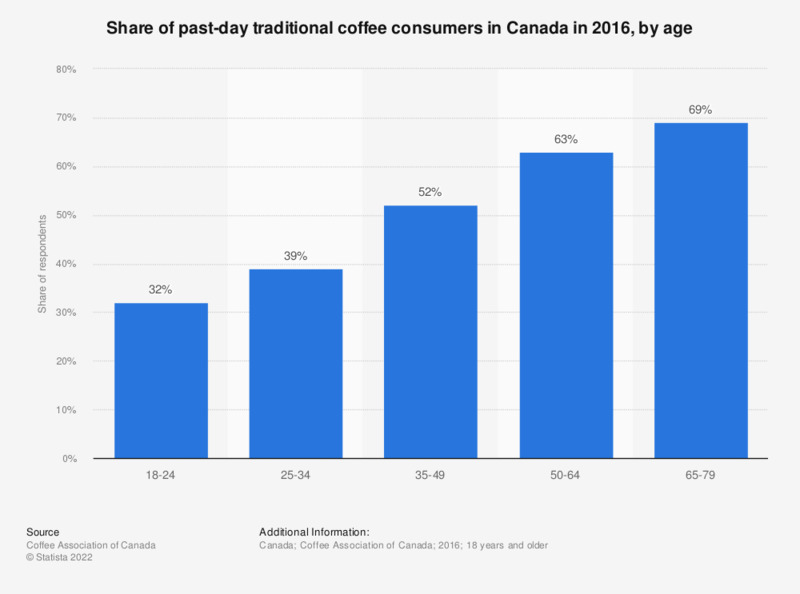 This statistic shows the share of past-day traditional coffee consumers in Canada in 2016, by age. During the 2016 survey, 52 percent of those aged 35 to 49 said that they had consumed traditional coffee during the past day. In which season are you most likely to purchase regular hot coffee?